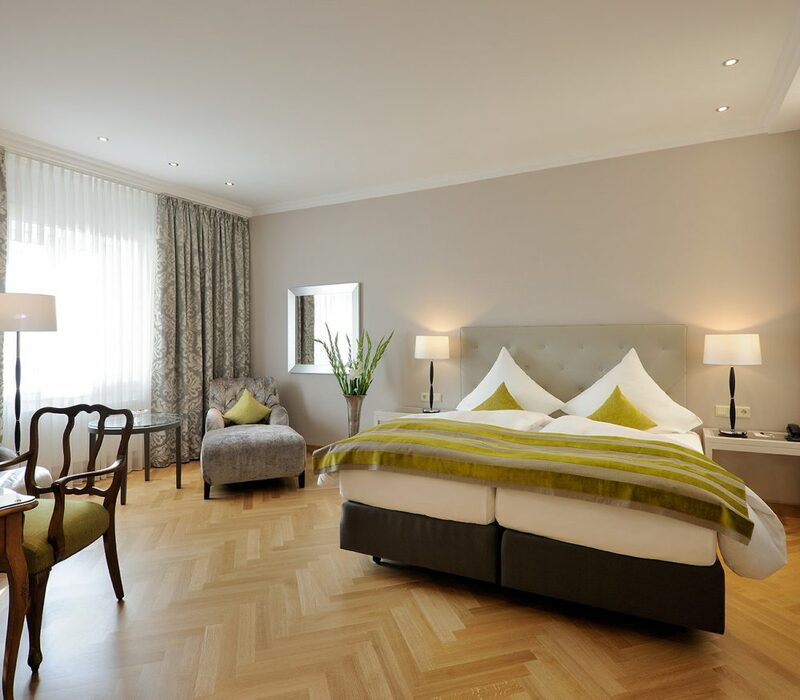 Stay at the only 5 star hotel in Lower Saxony’s capital city, Hanover, Germany. 149 rooms in 4 categories, suites and long stay apartments. Overnight stay in Hanover? 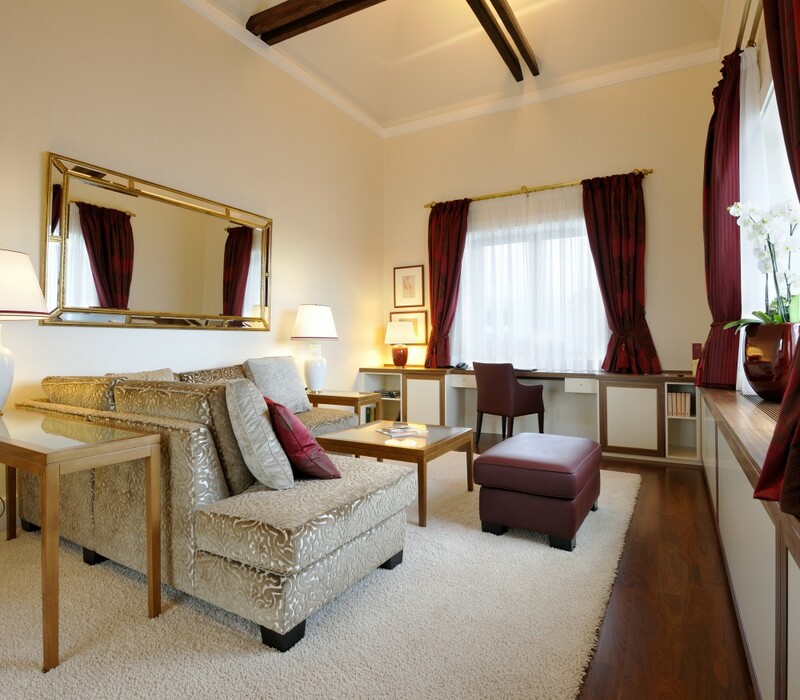 At Kastens Hotel Luisenhof there is something to suit everyone. 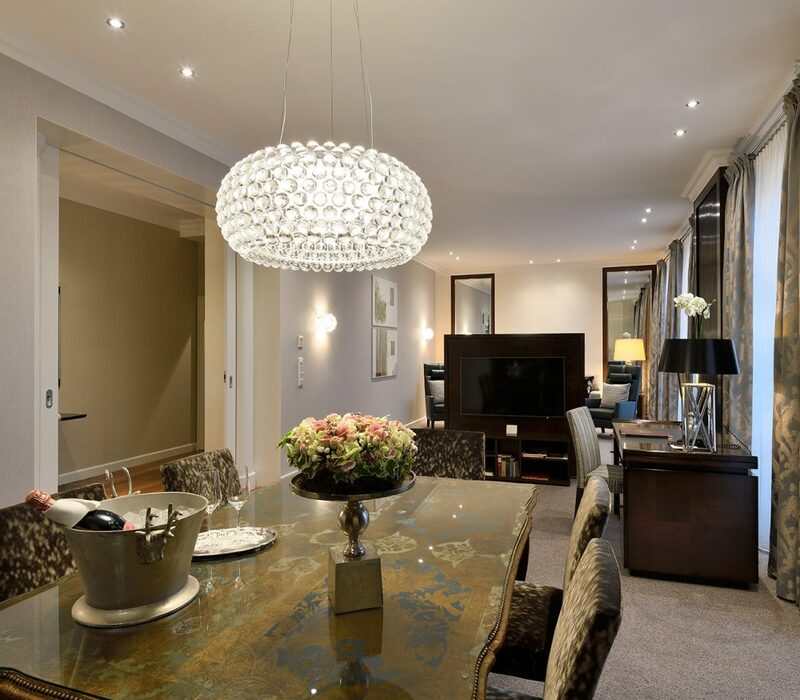 Extraordinary choices: four room types (standard, superior, deluxe, executive), spacious junior suites, exquisitely designed suites and brand new long stay apartments. An overnight stay in Hanover is often connection with a trade show. There is always a lively and pleasant atmosphere here, regardless if there is a trade show or not! National and international, polite, sophisticated and well-known guests comfortably sit here together for a drink. The inviting ambiance of our lobby with an integrated bar encourages lingering. Reserve your next stay in Hanover at our hotel. Planning to stay in Hanover for a longer period of time? 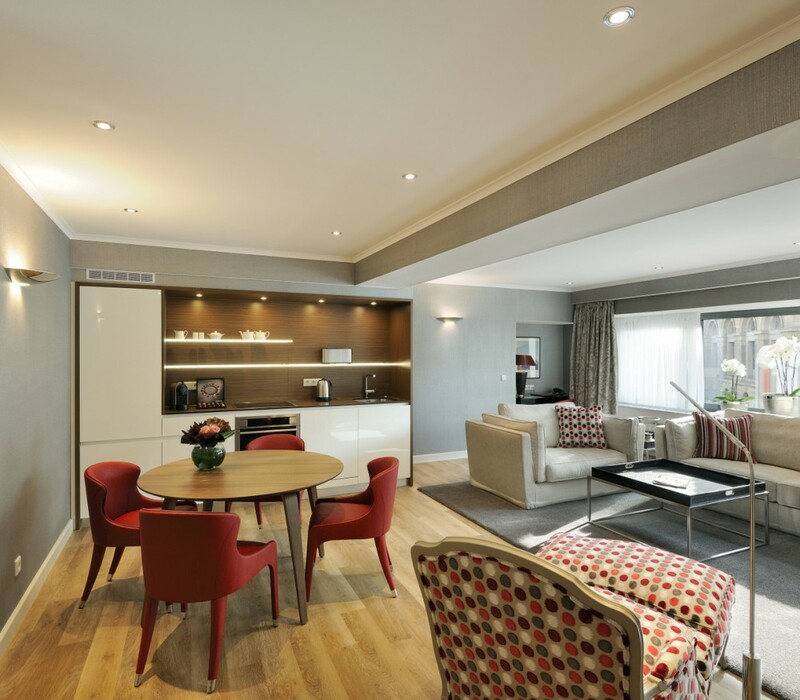 Brand new and elegant long stay apartments were created due to high demand. Here, you live in private, however, if desired, you can take advantage of all of our hotel services! Apartment living with service in Hanover. Try it out. The Standard category is our smallest and classical room typ. Size about 20 sqm. For just a small surcharge you can book our modern Superior Rooms with approx. 25 sqm. Our superior category is designed in a modern but elegant style with warm tones and exclusive furnishings. All rooms are renovated and offer comfortable bathrooms. Size 25 sqm. 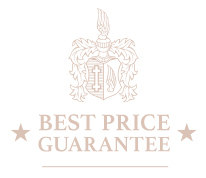 For just a small surcharge you can book our deluxe category. This category is our biggest room typ with up to 35 sqm. 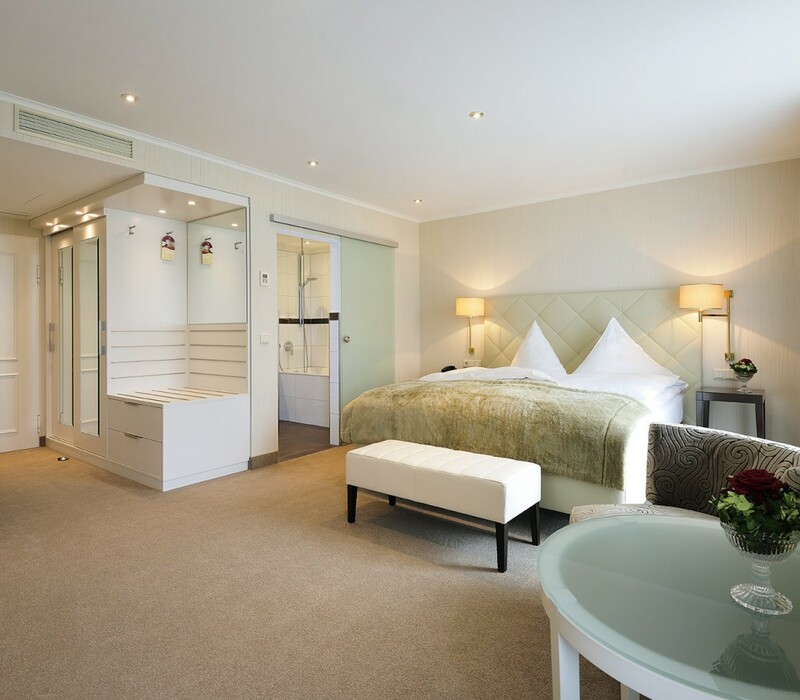 Our Deluxe Category is the largest room type with up to 35 sqm. All rooms are equipped with air condition. They offer modern first-class comfort with exclusive and individual facilities. The bathrooms are elegantly designed and feature perfect lighting that creates a warm atmosphere. For just a small surcharge you can book our executive category. This category is our biggest room typ with up to 40 sqm. Our Executive Category is the most modern room type with up to 40 sqm. All rooms are on the two upper floors and have been renovated in summer 2017. They are equipped with an antique piece of the hotel and offer an unique comfort. The bathrooms are elegantly designed and feature impeccable lighting that creates a warm atmosphere. For just a small surcharge you can book a Juniorsuite. These generous rooms have an integrated living area and offer many benefits. 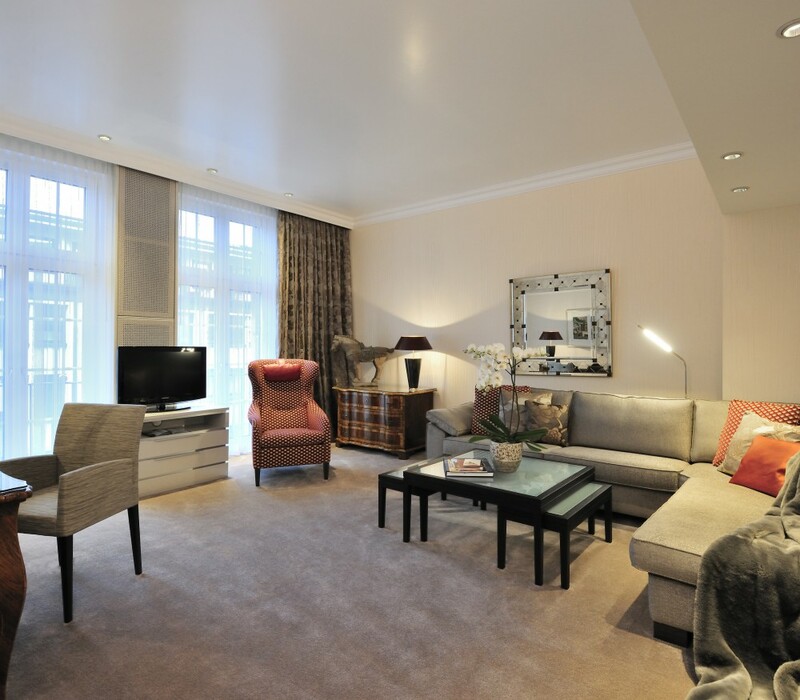 Our spacious and luxurious Suites offer plenty of space (approx. 65 m²) to relax and feel comfortable. With a cosy sofa, televisions in the living area and sleeping area (DVD player in also in living room), large wardrobe, separate living and sleeping area and high quality toiletries, you could not wish for more. Our comfortable & elegant junior suites apartments offer best location and everything what you may expect from a 5-star hotel apartment. 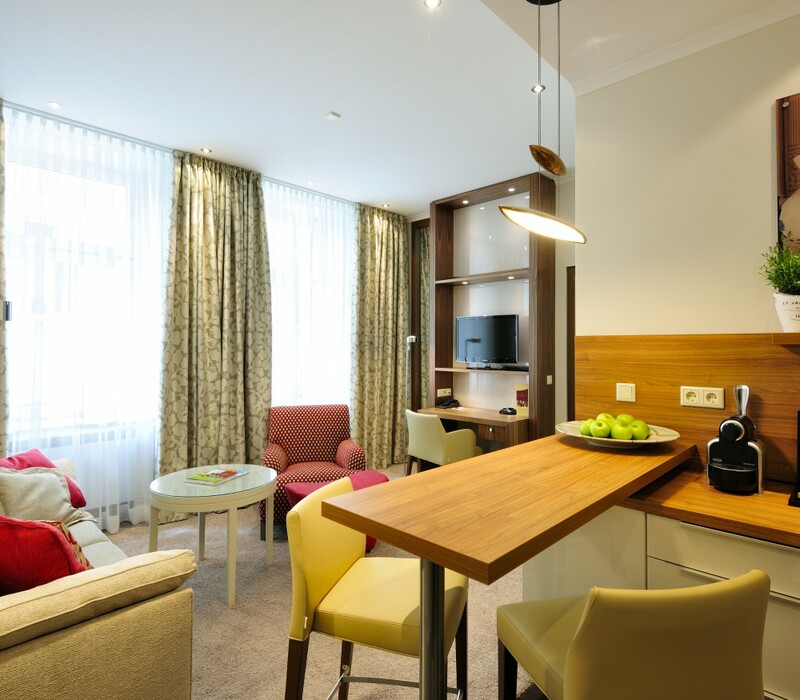 The Apartment Juniorsuites are up to 50 m² - especially for long stays and offer a lot of place for relaxation, work as well as for visits of family and friends. All appartements are equipped with kitchen (dishes, cutlery, Nespressomaker, toaster, water cooker, pots, frying pan, cooker / induction, oven, microwave) as well as of course shower and WC, Telefon/TV/DVD & iPod Docking station. Our comfortable & elegant apartment suites offer best city location and everything you may expect from a 5-star hotel apartment. The suites are up to 80 sqm - especially for long stays- and offer lots of space for relaxation, for work or for visits of family and friends. All suites are equipped with kitchen unit (dishes, cutlery, Nespressomaker, toaster, water cooker, pots, frying pan, cooker / induction, oven, microwave) as well as of course shower and WC, Telefon/TV/DVD & iPod Docking station. 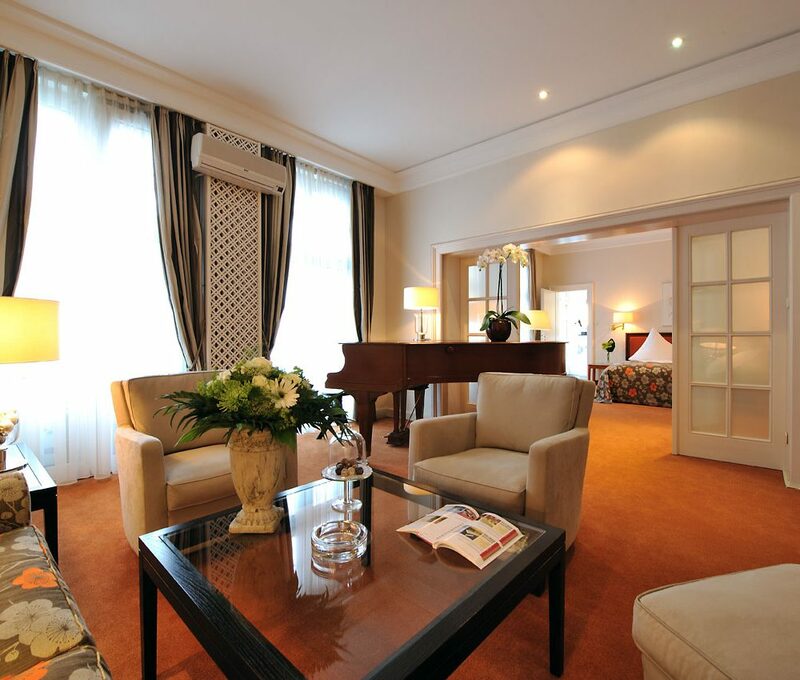 Our spacious and luxurious Piano Suite offer plenty of space (approx. 65 m²) to relax and feel comfortable. With a cosy sofa, televisions in the living area and sleeping area (DVD player in also in living room), large wardrobe, separate living and sleeping area and high quality toiletries, you could not wish for more. In the living area of the Piano Suite, a grand piano is also available. 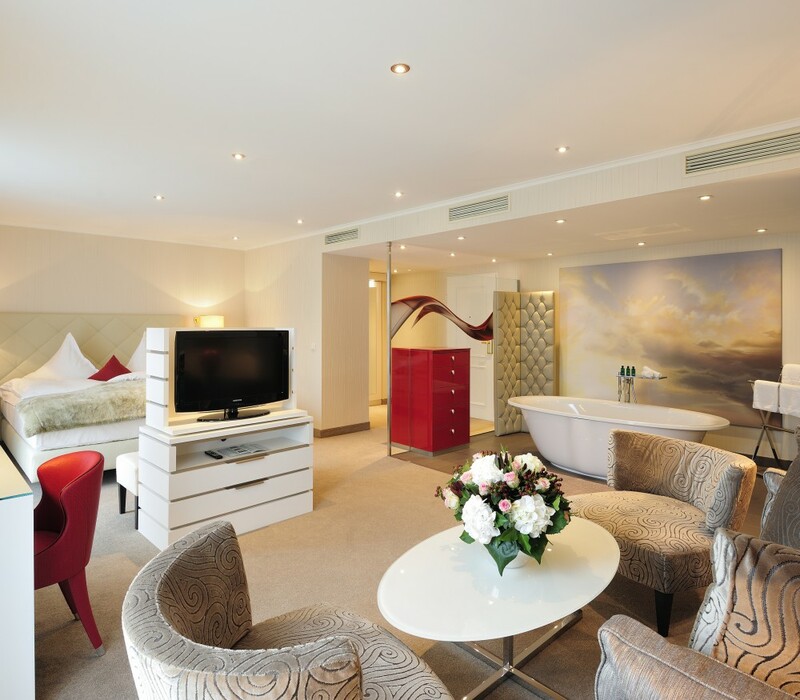 Our Tower Suite offers exquisite accommodation over two levels, with a total of approximately 75 sqm. The elegant living area with cosy sofas and a soft armchair offers a fascinating view over the roof-tops of Hanover. Our 100 m² Leibniz Suite is luxuriously furnished and fitted with a spacious living area with couch and chaise lounge, a large dining and working table (or conference area), a guest toilet and separate bedroom, a walk-in wardrobe, as well as an exclusive bathroom with shower and bathtub including wellness-lights and heated flooring. All rooms are equipped with plasma televisions; in the living room a DVD player is also available. From the private roof-top terrace you can enjoy a magnificent view of the Luisenstrasse and Hanover.